The Best Modern Quilt Blogs from thousands of Modern Quilt blogs on the web using search and social metrics. Subscribe to these websites because they are actively working to educate, inspire, and empower their readers with frequent updates and high-quality information. Modern Quilt newsletter is a comprehensive summary of the day's most important blog posts and news articles from the best Modern Quilt websites on the web, and delivered to your email inbox each morning. To subscribe, simply provide us with your email address. About Blog The Quilting Company has the best products out there for the modern quilter including quilt kits, quilting patterns, books, videos, quilting tools, fabric and much more! Also, our quilting blog is written by experts who are on top of the newest trends, so you'll have the best instructions at hand on your quilt journey! Our magazines include Love of Quilting, McCall’s Quilting, Modern Patchwork, Quilting Arts, Quiltmaker. Facebook fans 138,329. Twitter followers 3,364. Chicago, IL About Blog Suzy Quilts is rooted in a deep love for the heritage and tradition of quilting and a desire to craft unique, contemporary textiles. Suzy uses her graphic design background to transform conventional sewing into a fresh, personal interpretation of minimal, modern design. Facebook fans 3,593. Twitter followers 67. Germany About Blog Zen Chic's blog, where Brigitte Heitland talks about new fabrics, quilt patterns, freebies and some personal things going on in her life. Facebook fans 5,564. Twitter followers 157. About Blog Zippy Quilts is a blog where you will find all the tips and tricks for Modern and scrap quilts. Sisters, Oregon About Blog An inside look to all things at the Stitchin' Post with from new quilting fabric, notions, patterns, and knitting, to tutorials, things to do in Sisters Oregon. We strive to educate in the world of fiber arts with new techniques as well as advice in design. About Blog In this blog you will find tips on quilting, sewing, quilt design, textiles, pattern design, free projects and much more. Sydney, Australia About Blog This is a Sydney based Modern quilting blog giving you all the information on new quilting techniques. Facebook fans 1,443. Twitter followers 244. London About Blog We are a non-profit organization that creates links between people sharing a common interest in modern quilting. We are part of a larger group: The Modern Quilt Guild, which started in Los Angeles, California and now has more than 100 chapters all around the world. Our branch was created for quilters in the Montreal region (Quebec, Canada) to meet, share and collaborate. Facebook fans 879. Twitter followers 10,419. Facebook fans 1,912. Twitter followers 282. Chicago About Blog The Chicago Modern Quilt Guild is a non-profit organization focused on sharing a love for quilting and learning with its members and the community through creating and friendship. Come to a meeting and check us out! Facebook fans 1,004. Twitter followers 29. Cumberland, RI About Blog The Rhode Island Modern Quilt Guild is a membership group focused on developing and encouraging the art of modern quilting. Here,we share ideas and inspiration, educate ourselves on quilting techniques, and celebrate our progress as modern quilters. Central Florida About Blog The Orlando Modern Quilt Guild inspire and support our members in their enjoyment of and growth in quilt making, educate our members with an emphasis on the modern aesthetic through programs and activities. Cambridge About Blog Cambridge Modern Quilt Guild blogs about modern quilting in Cambridge Massachusetts. Charlottetown, Canada About Blog Welcome to the PEI Modern Quilt Guild Blog. We are a new Modern Quilt Guild based in Charlottetown with members from all three counties of the island. We became established as the PEIMQG in January 2015 and now have 23 members. Victoria About Blog We are a group of quilters and quilt-lovers in Victoria and lower-Vancouver Island who enjoy modern quilting. 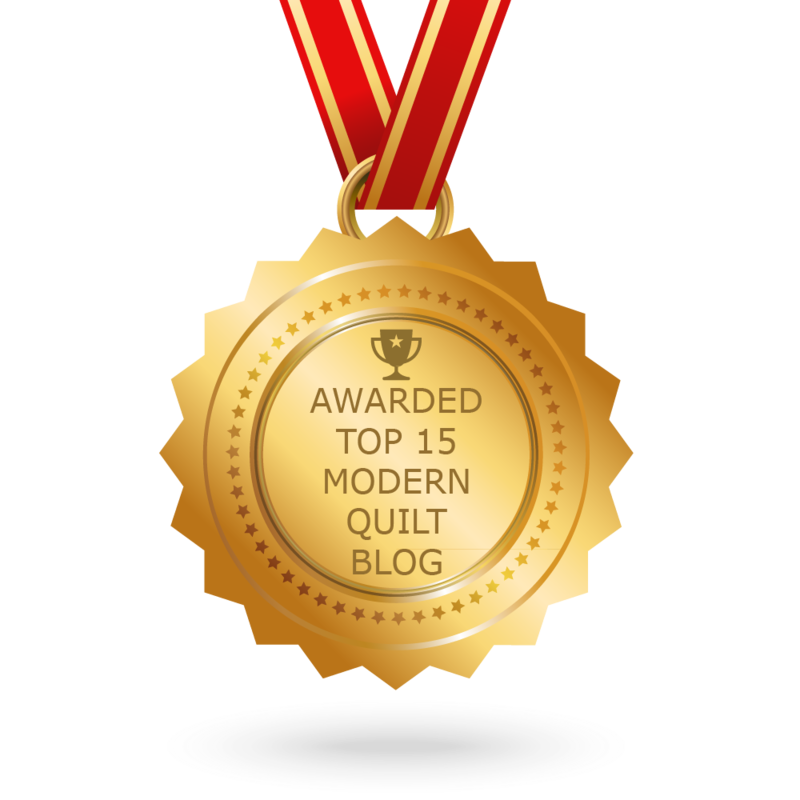 CONGRATULATIONS to every blogger that has made this Top Modern Quilt Blogs list! This is the most comprehensive list of best Modern Quilt blogs on the internet and I’m honoured to have you as part of this! I personally give you a high-five and want to thank you for your contribution to this world.